Today's Meet The Maker is a little bit spesh! 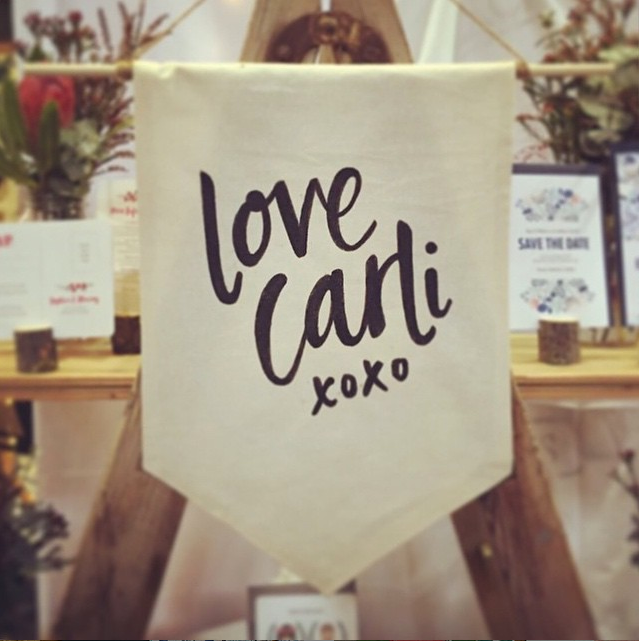 When Carli from Love Carli xo applied to the EPM we immediately fell in love when her work. It just so happened that we were also in need of a freshen up for our front welcome sign and thought Carli would be the perfect fit to not only showcase her work but to create a beautiful entrance for all our visitors! The sign will be unveiled tomorrow at the EPM (SO excited!!) but for today we would love to introduce you to Carli - the creative genius behind the beautiful artwork! 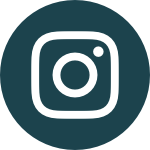 Tell us about yourself and what you do at the EPM. I am a freelance designer and illustrator with a penchant for polka dot dresses and all things stationery. I run a small business from my home in Melbourne north and spend my days creating custom wedding stationery, signage and pretty paper goods to help others celebrate the extraordinary moments in life. It is both a passion and an obsession. My designs are inspired by a love of colour, texture, type and all things vintage and my unique style is composed of a sweet combination of illustration, typography and hand-drawn details. At the EPM I will be selling my range of illustrated greeting cards and paper goods, including our brand new Christmas range, and chatting to anyone who is interested about custom stationery or illustrations. I've always been very creative, even from a very young age. As a kid, I was always drawing, colouring, crafting and painting. I always claimed I was going to be an artist, then I took Graphic Design as an elective in Year 8 and I never looked back. I think the rules and discipline of design appealed much more to my personality. Inspiration mostly comes when I step away from the computer. Often I will go and indulge in some time out at a cafe or do something else creative, go to an exhibition or market, do a workshop or see a film. I love getting out there and seeing what other people are creating and achieving, it really pushes me forward. I also have my favourite go-to blogs and magazines and I LOVE Pinterest and Instagram. I'm happiest when I am busy and productive but I do love a solid sleep in, a long lazy brunch in the sun and some good old meandering through a market. Finish it off with a nice dinner and some wine and I'm pretty content! E.T. I saw it when I was little and I hated it. I'm not sure what about it scared me, but it really affected me! I have never watched it again! You can do anything, but not everything! It's actually a quote but my family like to say this to me when I am putting myself under too much pressure. It's hard when you're a sole trader not to feel like you have to do everything! I can't work in silence, so there is always something playing and it will always be a random mix. I love putting my music library on shuffle and coming across favourites I haven't heard in a long time. 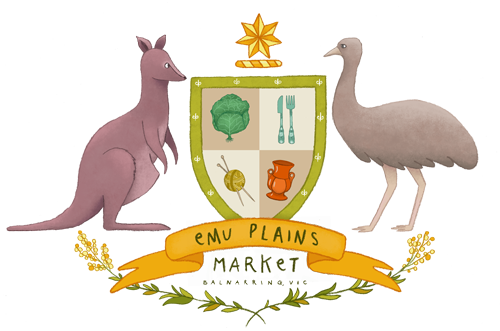 This will be my first Emu Plains Market, but what I love most so far is the really great feedback I have heard, how well run the market is and how much the community gets behind local makers. I'm really looking forward to being a part of it. Where do you see Love Carli in 5 years time? I would love to have my own studio/retail space where I am still working away illustrating and creating beautiful stationery, where I consult with brides and sell my paper goods and artwork.